American Work Adventures is proud to be an Alliance member. The Alliance for International Educational and Cultural Exchange is an association of 90 nongovernmental organizations comprising the international educational and cultural exchange community in the United States. 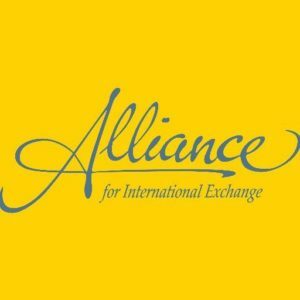 Founded in 1993 after a merger of the International Exchange Association and the Liaison Group for International Educational Exchange, the Alliance serves as the only collective public policy voice of the exchange community. As the voice of international exchange, the Alliance promotes the growth and impact of exchange programs and the effectiveness of its members by engaging in advocacy, providing member development opportunities, and building public awareness of the power of exchange. The Alliance adheres to, promotes, and expects the highest ethical standards of professional practice among its membership. Standards of professional practice include: understanding and complying with government laws and regulations; providing participants with high quality programs; offering the fullest possible equality of opportunity; and treating all individuals with dignity. The Alliance and its members adhere to a Code of Conduct and strive to avoid any action that may discredit the organization, its membership, or the profession. The experience and relationships gained through international exchange are essential to furthering global peace, freedom, mutual understanding, international cooperation, economic prosperity, and the growth of human knowledge. International exchange enhances the effectiveness of the United States in dealing with other nations by building the global competencies of U.S. citizens and others skills increasingly important in the world of the 21st century. Participating in an international exchange program contributes fundamentally to a person's intellectual development. The conduct of the international exchange program must embody the highest standards of quality, integrity, and professionalism, and must offer the fullest possible equality of opportunity. The international exchange community in the United States has a responsibility to advocate public policies needed to sustain and strengthen international linkages with other countries through educational and cultural exchanges. Agenda: Formulating a set of public policy concerns and recommendations that support the broad common interests of the organizations making up the international exchange community in the United States. Advocacy: Organizing an effective program of government relations activities, including direct representation to policy makers and the marshalling of grass-roots constituencies in pursuit of this common agenda. Forum: Providing a meeting ground for the leadership of the international exchange community to discuss issues of mutual concern and to develop cooperative approaches to address these issues. Coalition Building: Developing constituencies to support international exchange programs both within the exchange community and in other sectors of American society. Information Services: Furnishing comprehensive information about issues affecting the future of international exchange programs and other matters of broad interest to the international exchange community. Public Awareness: Building public awareness about the critical role of international exchange programs in meeting global, national, and individual needs.